MOST OF US KNOW THE SEVAS WHICH ARE DONE IN TIRUMALA BUT WE DON’T KNOW HOW THEY ARE DONE. I WOULD LIKE TO SHARE SOME DETAILS WHICH I CAME TO KNOW. Suprabatha Seva is done in early morning hours. Prathyusha Poojas starts with this Suprabatha Seva only. It is the first Seva done to Lord Venkateswara Swamy. It starts at 3.00A.m. Before this time temple Priests, Jeeyam Garulu, Ekangulu, Yadava Vamsikulu (Saniddigolla), who got the blessings of Lord Srinivasa come near the temple. They will ring the Temple bell near the Nagara Mandapam. First Sannidigolla enters into the temple through the Maha Dwaram. Then Preists also enters the temple. The keys of the temple are kept near the Kshetra Palaka near the Dwajasthamba and they will take his permission to open the temple doors. People who sing Suprbatham and the successors of Annamacharya will be ready along with their instruments to sing Maylukolupu (waking up Lord Srinivasa). Sannidhigolla opens the doors of BagaruVakili and goes inside with a Dhiviti (stick with fire) and Preists starts singing Suprabatham. It is followed by Sri Venkateswara Shotram, Prapathi, Mangala Sasanam. At the same time successors of Annamacharya play Thambura (musical instrument) and wake up Lord Venkateswara Swamy. Priests will now open the doors of Garbalayam and take the blessings of Lord Srinivasa by touching his feet and wakes him up. Curtain is placed in the front of the Lord. Main preist will offer Prasadam and Thambulam to the Lord. They will give Navaneetha Harathi (Arthi) to the Lord. After reading Mangala Sasanam they will again open the doors and do Karpura Harathi and allow the devotees inside the temple. At this time the Darshan given by the god to the devotees is called as VISWAROOPA DARSANAM. Around 200 to 250 devotees are permitted to view this Seva every day. The cost of the ticket is around 200Rs and can be purchased a day early from Vijaya Bank counter or procured from the Arjitham Officer by sending a D.D before hand. After Suprabhata Seva from 3.30 A.m to 3.45 A.m temple is cleaned. All the flower decorations done on the day before night are removed and dropped in the well which is called as Poola Bavi which is in the Sampangi Pradakshina . They do so see that no one else will again use them. This process is called as NIRMALYA SUDDHI. Archana is also done in the early morning hours. For this pooja Jeeyam Garu (Priest) brings bamboo basket keeping it on his head which is filled with flowers and Tulasi garlands from the separate room which is meant for storing flowers. Before Archana, Abishekam is done to BOOGA SRINIVASA with Cow Milk, Turmeric water and, Sandal paste by chanting PurushaSuktam. After that idol is kept in its original place and Samprokshana is done to Boga Srinivasa and it is connected to the main deity with a golden thread. It is believed that through this thread power from the main deity flows to the Booga Srinivasa Idol. Pooja is done to main Deity and then Alankaram is done. By using Camphor Namam symbol is made on the face of Lord Srinivasa. He is also decorated with Yagnopaveetham. Later Lord Venketeswara’s feet, which are made of gold are kept on a (peetam) and Abishekam is done to them. This Seva is also called as BHAGAVATHI ARADANA. As a part of this Seva Lord is decorated with flowers. In 6 days of a week this Seva is done after Suddhi. Only on Fridays after Abishekam, ThomalaSeva is done. This Seva is done between 3.45-4.30 A.M everyday but on Fridays it is done between 7-8 A.M. Ticket price is 220Rs and can be purchased daily at the beginning of the Vijaya bank or purchased from the agent Arijitham by sending a draft request. After ThomalaSeva Durbar is conducted in Thirumamani Mandapam to Koluvu Srinivasa for 15 minutes. Panchangam and Usthavas to be conducted on that day are read out and accounts of the before day including denominations are handed over to Baliberam (Koluvu Srinivasa). Later Prasadam made of Sesame (Nuvvulu) and Jaggery (Bellam) is offered to Koluvu Srinivasa. SahasraNamarchana is done from early morning 4.45 to 5.30. 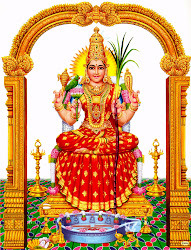 All thousand nama’s of Lord Vishnu given in Brahmanda Puranam are recited while doing Archana. After the completion of this Seva, with the Tulasi and flowers on the feet of Lord Venkateswara Pooja is done to Sridevi and Bhudevi. At that time Lakshmi SahasraNamalu given in Varaha Puranam are recited. Next Nakshatra Harathi and Karpura (Camphor) Harathi are given. First SayanaMandapam is cleaned and doors of BangaruVakili are closed. Bells in Tirumamani Mandapam are rung. Only Priest stay inside and offer curd rice, lemon rice, pongali (items prepared by using rice), laddus, vadas appalu, dosas, polilu. Pooja is done by chanting all the 108 Names in Varaha Purana. After finishing this Lakshminama Archana is done to Sridevi and Bhudevi. After Astothara Sathanama Archana second bell will ring. Prasadam will be offered and then Thambulam and Harathi are offered. Thomala Seva Is Done Again. Harathi is given. Astothara Sathanama Archana and Lakshmi Nama Archana are done again.Third bell rings and then Prasadham is offered to the Lord and Sarva Darshanam is strated again. At around night 1.30 Pavalimpu Seva is done it is also called as Ekantha Seva. 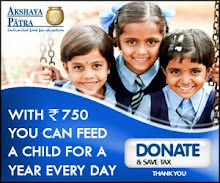 The Ticket price is Rs120, and can be purchased daily at the beginning of Vijaya Bank counter. There are no reservations for this Seva. In this Seva Bhoga Srinivasa Murti is placed in a swing held by silver chains. They will offer milk, fruits, almonds (badam) as Nivadyam. It is believed that at night time Lord Brahma will come here to pray the Lord so, they will arrange sufficient water for Lord Brahma in a silver bowl. They will sing Annamayya Sankirthanas to lead the Lord to sleep. Ekantha Seva is done to Bhoga Srinivasa Murti for 11months but in Dhanurmasa (Dec 15 –Jan15) it is done to Lord Krishna. With this Poojas will come to an end. Temple is closed at 2’oclock. All the doors are closed at they are sealed. ALL THE PICTURES ARE TAKEN FROM THE BOOK WHICH IS PUBLISHED BY TTD AND SRI VENKATESWARA BHAKTI CHANNEL. THE NAME OF THE BOOK IS GOVINDAM PARAMANANDAM. Excellent information given here about Tirumala Balaji. Thanks to share with us. Tirumala Pin code 695006.